Four-season comfort and mile after mile performance make these sleek Wigwam F2300 057 Charcoal Merino Lite Hike Socks winners in our book. You'll enjoy slipping into these Charcoal Hiking Socks thanks to the innovative fabric blend and performance-driven desig ... (see full details) (see specifications) #WGWF2300-057. Four-season comfort and mile after mile performance make these sleek Wigwam F2300 057 Charcoal Merino Lite Hike Socks winners in our book. You'll enjoy slipping into these Charcoal Hiking Socks thanks to the innovative fabric blend and performance-driven design. They're made in the USA from 60% Merino wool, 20% 4-Channel polyester, 18% Stretch nylon and 2% Lycra spandex for the ultimate in soft comfort and durable support. Merino wool is well-known for its natural warmth and water-resistance. The fabrics work together to deliver breathable, comfortable wear. The design of this pair is just as advanced as its fabric. The crew-length style features 1x1 rib welt tops to keep them in place and 3x1 rib legs for improved comfort. Ultra-dense lightweight terry soles and smooth Lin-Toe closures provide all-day support and easy wear. Whether you're hitting the trails or the jobsite, these innovative and supportive Wigwam F2300 057 Charcoal Merino Lite Hike Socks are the perfect addition to your footwear. Click on the cart to order your pair today. The pair I received is actually 55% Merino. They are pretty beefy and I love wearing them while landscaping all day. The merino hiking socks at REI are much better quality for your money, but these are very nice socks. I also bought FoxRiver everyday medium weight socks and they are very thin and see-through compared to these. 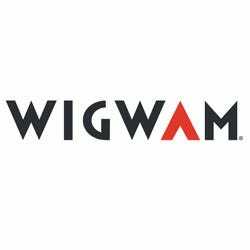 Wigwam Socks: USA-Made Merino Wool Lite Hiking Socks F2300 057 is being added to your cart.